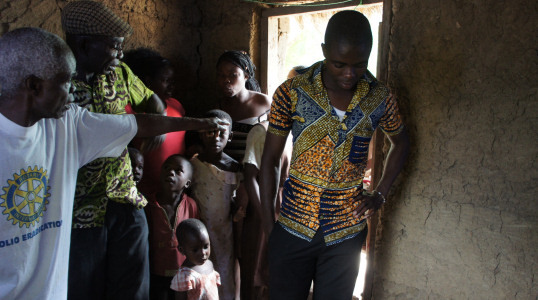 The Solar2Africa400® package has been designed in the UK specifically for developing countries. We have produced a simple to use box that will provide mains electricity of >1100W/h per day. Using the built in 12VDC socket, USB port and 230V output inverter our customers are able to charge phones, power lights and small appliances such as fans, TV and radio for a few hours a day. A portable but powerful 120W folding solar panel is supplied to charge the batteries during daylight hours. 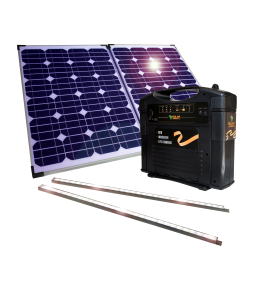 The Solar2Africa400® Package coupled with T1-R, the latest low power PC from our partner Aleutia Ltd, becomes a powerful and versatile portable computer station that goes anywhere! Solar2Africa400® unit uniquely designed for African market.